To the uninitiated, owls seem like one of the most amazing pets on the planet: intelligent, loyal, filled with personality, and capable of turning its head almost completely around. But unfortunately for Harry Potter fans, owls are not pets, but wild animals that need to be cared for by trained professionals. Understand that, in the United States, private individuals are prohibited from keeping owls as pets. The only individuals allowed to care for owls are those people who have been trained and licensed as a rehabilitator, a breeder, or an educator. 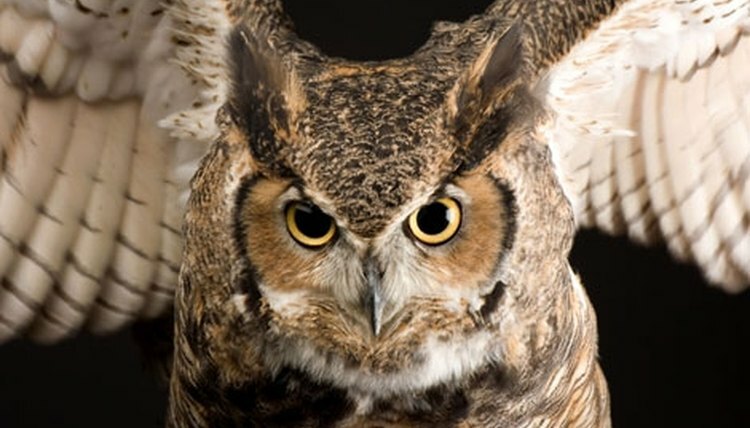 Even then, the owls are actually 'owned' by the U.S. Fish and Wildlife Service, who can recall the bird at any time. Familiarize yourself with the immense responsibilities that an owl brings. An owl requires a regular supply of whole, adult animals - whose storage may require an entire freezer. They need to be flown regularly, and constantly attended to - captive owls often 'imprint' on humans, and require human attention. They cannot be left alone for any significant length of time. Dissuade yourself with the less appealing aspects of owl life. Owls regurgitate foul-smelling owl pellets daily, and defecate just about everywhere. A very loud mating season, meanwhile, lasts nine months out of the year. They molt year-round, and their talons are extremely sharp. Live vicariously through the story of Florence Nightingale, who raised a pet owl named Athena, and traveled with it in her pocket. Recognize that, even with the utmost care, Athena starved to death at the age of five, after being left in the attic when Nightingale went to war. Purchase an owl that you know you can maintain: a plush, cartoon version available at many toy and children's stores.